Rita’s Italian Ice is delicious! When I lived near Philadelphia, PA my friends (lovingly referred to as *my Philly girls*) turned me on to a tasty little treat known as ‘water ice’ in Philly and becoming more popular to us mid-westerners known as ‘Italian Ice.’ When I discovered that a Rita’s (the biggest/best known chain of water ice) opened in my current metro area I was ecstatic! 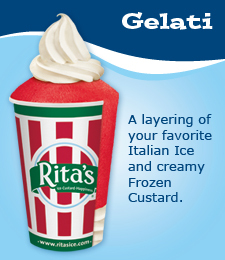 My favorite is the gelati as it combines the flavored water ice and custard. Mango with vanilla is my staple. But, I do love to’ half’ the ice and do mango and swedish fish. So refreshing. The only thing missing at my local Rita’s establishment is the sale of true Philly soft pretzels. Those always cut the richness nicely with a Rita’s treat. Alas, I need to visit my Philly girls again soon so I can enjoy a pretzel again with my gelati. To learn more, check out: www.ritasice.com. Visit one near you, or better yet, open your own franchise. My birthday was earlier this month, and aside from all the other fun things that come with it, one of the things at the top of my list is ice cream cake from Dairy Queen. My dear friends and family know how much I adore ice cream cake, so I got to enjoy not one, not two, but THREE ice cream cakes this year! (Amazingly, my pants still fit.) I’m lucky enough to share my birthday time with two of my awesome nephews, so we frequently have joint celebrations – good by me, that means more ice cream cake! Personally, I enjoy the standard vanilla on top, chocolate on the bottom, crunchy fudgy goodness in the middle version. We had a Reese’s Cup ice cream cake from Dairy Queen for one of my nephew’s parties and it was good, but I’d still pick the regular version. I’ve also heard that the Cold Stone Creamery ice cream cakes are good, but I was nervous to ask for one of those. What if I don’t like it as much and I miss out on the yumminess of the regular one? This is a serious dilemma. You don’t mess with ice cream cake around me. Just ask the nephew who tried to eat the last piece one year. I have pinboards for craft ideas, my dream home, cute animals, and more. I love having one easy place to store those ideas. It’s super-fast to set up your Pinterest page and even faster to start pinning. – Create pinboards for your favorite teams, shows, actors, movies, etc. – For your kids – snacks, costumes, crafts, room décor and organization, gift ideas, etc. It’s easy to get sucked into Pinterest and before you know it, hours have gone by! In this day and age I know most people type versus write, but I still find myself writing “old school” often. I still hand write my little notes at work, keep a checkbook log, my grocery shopping list, etc. Nothing is more frustrating than to try to write something and have the pen not work, the ink go in and out, spotches of ink oozing onto one’s hands, or having to hold the pen only at certain angles to get a quality line. This may seem trivial, but I try to eliminate as many of these little frustrations in my life to make room for the really big frustrations. 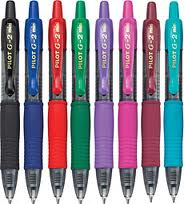 So, if you want a nice pen, which by the way also offers really fun colors besides the standard black…blue…red, then by all means give the Pilot G-2s a whirl. I am a proud Dog Mom. We have an English Springer Spaniel and a Basset Hound. They are both 7 years-old. One year ago, May 5, 2011, our basset hound (her name is Leia or we lovingly call her Mimi) was diagnosed with Lymphatic cancer. Ironically enough, my father lost his life to Non-Hodgkings Lymphoma in 2002. In any case, I am unfortunately very familiar with the disease and am all too aware of the grim outlook. Seeing as Mimi was only 6 years old when she was diagnosed and the doctors only gave her about 7-10 days to live, we had some quick decisions to make. We love our 4-legged children as much as our 2-legged child and we knew we had to help Mimi fight the cancer. The lymph nodes in her neck were swollen to the size of ping-pong balls and had almost cut off her airway. We took her to a doggie oncologist an hour away since we heard that she was the best we could find. They recommended aggressive chemotherapy immediately. We began to treat right then and there. One year later and over $15,000 in additional credit card debt, I am happy to tell you that Mimi is still fighting and is doing really well all things considered. I realize that the continual chemo over the last year is a huge part of why Leia is still with us today and doing fairly well. However, I truly believe we’d have lost her many months ago without the help of Aloha Medicine’s K9 Immunity daily supplements. It is an immunity building supplement. As you may know, chemo kills all cells – good and bad. 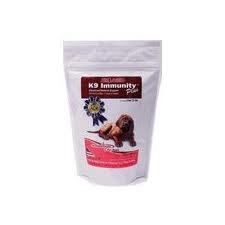 The K9 Immunity treatments claim to help rebuild the good cells that are lost during aggressive chemo treatments. I AM A BELIEVER. Even with chemo, Leia was only give 6-9 months to live. 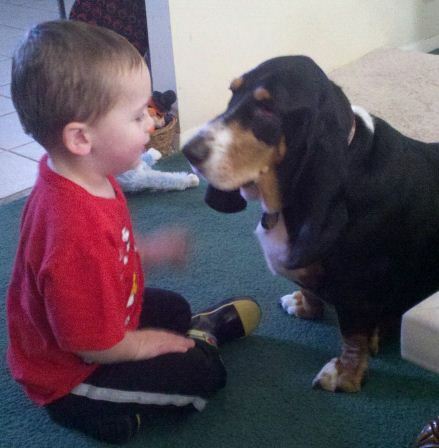 12 months later, my sweet little basset hound is still fighting. We started researching natural supplements and other options that could help in any way from the get go. We found out about K9 Immunity on many internet sites and forums and we were astounded by the claims and success stories, including on www.dogcancer.net. The K9 Immunity immuno-modulating supplements are all natural, made of primarily mushrooms from what I can understand. I started by giving Leia the pill form which entailed 6 of the K9 Immunity pills, 2 fish oil pills, and 1 transfer factor pill every day. We did that for a good 9 months. It was a bit cumbersome and cost approximately $150 per month. Then a few months ago I switched over to the K9 Immunity Plus which are basically little chewy treats with all 3 of the above mentioned pills built right in. She only takes 3 of the chewy treats per day. 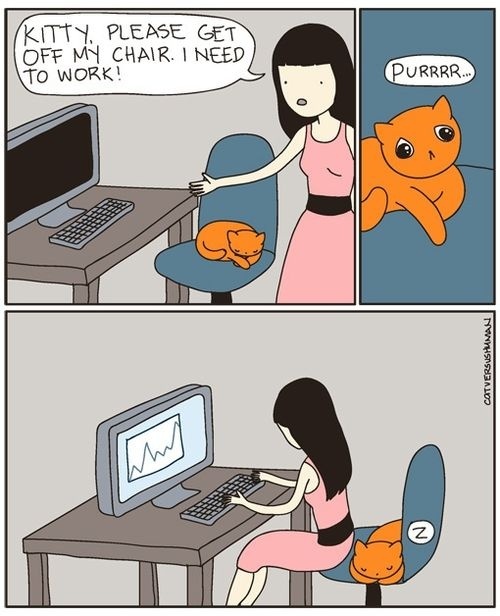 It’s less cumbersome and a bit cheaper this way. 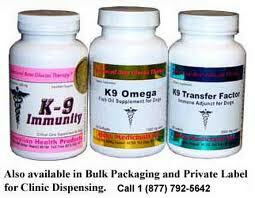 If any of you have dogs that are unfortunate enough to have cancer, especially lymphatic or bone, I highly recommend you consider K9 Immunity be added to their daily diet. As I said, I AM A BELIEVER! Thank you K9 Immunity. Leia thanks you. Darth (the Springer) thanks you. My husband and I thank you. And, my 3 year-old who LOVES his Mimi thanks you. 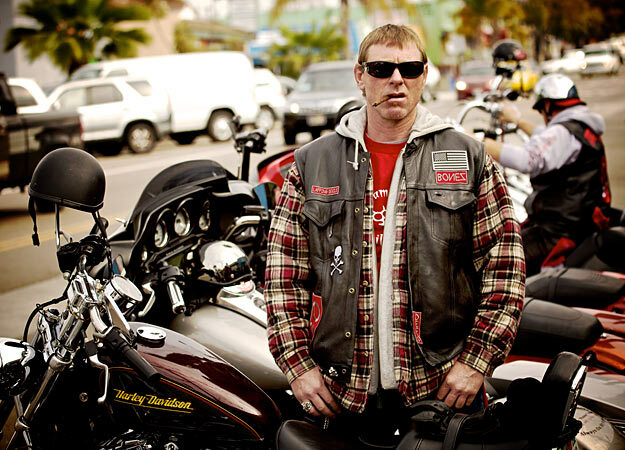 Let’s talk for a minute about a show that the Discovery Channel is getting all wrong – The Devils Ride. It’s on immediately following Deadliest Catch and I like motorcycles, so I thought I’d give it a shot. This is the face I made while watching the show (minus the cigar). There is no way in the devil’s domain that this show is real. You want me to believe that this motorcycle club signed up to do this show and in the first two episodes 1) there is an immediate need for a new clubhouse, 2) their president and founding father decides to step down, and 3) said president ends up turning in his colors rather than having them stripped after a beef with the new president (who he hand picked, by the way)? I don’t think so. And that’s just three examples of the ridiculousness. This show is beyond lame. And as a grammer nerd, it really irks me that these guys can’t spell. Laffing Devils. Snubz. Bonez. Mi brane hertz. The only way you could get me to watch this show again is if you told me that Stone Cold Steve Austin was going to give Sandman the Stunner he so desperately deserves. My prediction is that The Devils Ride will end up being a quick trip to cancellation.